With the creation of the dramatic Supper at Emmaus (Louvre) and a series of intimate oil sketches of Christ on oak panels, Rembrandt van Rijn (1606-1669) overturned the entire history of Christian art. Traditionally, when depicting Christ, artists had relied on rigidly copied prototypes and icons. Among Rembrandt's innovations was his use of a Jewish model to portray a Christ imbued with empathy, gentleness, grace, and faithfulness to nature. Lavishly illustrated, this captivating and important book presents the seven known panels, along with more than 60 paintings, drawings, and prints by Rembrandt and his pupils. Essays by expert contributors offer insights into the production of the panels and their relationship to other works in Rembrandt's oeuvre; how he changed the meaning and status of the canonical image of Christ in northern European art; and much more. 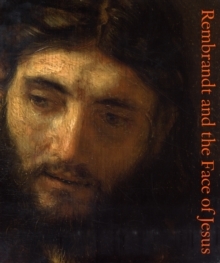 Rembrandt and the Face of Jesus is a marvelously intriguing study of how one of the greatest painters of the Dutch Golden Age revolutionized an aspect of art history dating to antiquity. Pages: 256 pages, 130 color + 20 b-w illus.